The classic film live onstage featuring a string of Whitney Houston hits. "spectacular, stylish and delivered with panache"
"Heather Headley is a powerhouse talent"
"gives throbbing new life to that thin story"
Based on the hit 90's film starring Kevin Costner and the late Whitney Houston, 'The Bodyguard' is a modern and energetic show. Like the film, the show tells the tale of singer Rachel Marron, and the darker side to her fame. As Rachel is stalked by a violent psychopath, she employs Bodyguard, Frank Farmer, to protect her and her family. After an initial power struggle between the pair, Rachel soon find her relationship with Frank is more than just professional. Can Frank keep Rachel and her family, including her son Fletcher, safe from the murderous lunatic on the loose? 'The Bodyguard Musical' features iconic songs from Whitney Huston including "I Have Nothing," "Run to You" and the heart rendering "I Will Always Love You." Alexandra Burke has just replaced the legendary Beverley Knight in the starring role. Please note the show is not recommended for children under the age of 11 years old, due to the content that some may find scary. Please use your own discretion when booking tickets. Came to see this stunning musical at the Adelphi Theatre last June, and I simply loved every moment of it. The entire cast were awesome. Alexandra Burke did an outstanding performance in the lead role as Rachel Marron - her vocal ability was totally off the scale, and she made Whitney Houston's memory proud indeed. I also had the wonderful pleasure of meeting Alexandra herself backstage after the show which was unforgettable and a great way to crown what was a fabulous evening out in the heart of London. Brilliant! The last performance and a truly memorable night. Wow wow wow!!!!! Saw the matinee show yesterday (27/08/14) with Joelle Moses playing Rachel Marron and David O'Mahony as the Stalker. It was a brilliant show. The set, the acting, the music, the singing and the dancing - faultless. It still had the element of surprise, even if you have seen the film. This was a fantastic show and it is such a shame it is closing this weekend. Brilliant performance by David O'Mahony (Stalker) and Carole Stennett as (Nicki Marron, Rachel's sister. Saw The Bodyguard on the 5th of August! The whole cast were amazing and Alexandra Burke did a stunning performance!! Absolutely Brilliant!! I went to see The Bodyguard in early June. What an excellent show, Alexander Burke was fantastic, singing, dancing, stage was all fabulous but was spoilt by the lack of air conditioning in the theatre. We were all sweating profusely, some people having to leave the theatre. This spoilt what should have been a very enjoyable evening. I have written a letter of complaint to the theatre but have not been acknowledged. Fantastic show but let down by the theatre! I did not know what to expect from 'The Bodyguard' when I walked into the Adelphi Theatre, but I left with the feeling that I wanted to see it again. This is a first class show as it is absolutely stunning in its presentation. Most people think and talk about the excellent lead performers such as Alexandra Burke and Tristan Gemmill, as they should, but I felt Michael Rouses performance as the stalker was superb and spine chilling,and the beautiful voice of Carole Stennett should also be mentioned when writing a review of the show. I also think of all the other very talented cast members and the people behind this scenes who make this in my opinion a flawless and superb show. I was taken to see The Bodyguard by my husband on my 50th birthday. After a great day in London the show was the icing on the cake. Absolutely Fantastic ! Alexandra Burke has the most amazing voice but all the singers and cast were amazing, the little boy was brilliant ! Best show I've ever seen. Thanks for making my birthday so memorable. We saw the show on 29/07/14. Saw the show June 13th.It was wonderful! Alexandra Burke was outstanding and just got better and better. Backed up by the rest of the fantastic cast it was a truly memorable show. Totally brilliant show. Beverley Knight's vocals are out of this world. Only she could do Whitney justice like that. Absolutely mesmerising. The whole cast indeed were fantastic and I would recommend anyone to go see the show and sing and dance the night away as well as enjoy the story. Class!! Fantastic show some of the best vocals I have ever heard Congrats to Beverley knight and the rest of cast. I thought that it was very good but at the start it nearly does give you a heart attack but I have not watched the film yet so I would like to compare it. What can I say....pure class....excellent. The show was fabulous, just one criticism those people sitting in the upper circle couldn't see Beverley Knight when she moved to the front of the stage. Because the view became obstructed everyone then leaned forward which made it even worse. I didn't know if I should stay, bitter sweet memories thats all I'm taking with me. Steve and Jess I hope you'll have all you dreamed of. All I had was joy and happiness. I will always love you. We came to see the bodyguard on Saturday jan 25th and was astounded to watch and listen to the best theatre show that we have seen. From start to finish it kept us on the edge of our seats. My favourite word that sums this show up in one word is simply WOW!!!! What a fantastic show that could easily be watched every night. Went too the Bodyguard 18/01/2014 What can I say apart from it was amazing, but disappointed as Beverley Knight wasn't in the performance, but needless too say the young lady that played the main part was outstanding. I would come back and see this show again and again without a doubt. I will be telling all my friends and family that they need too see it too. Amazing! Fantastic show. Beverley Knight was superb as were the rest of the cast. Absolutely loved it. Excellent. Will definitely go again. Highly recommend seeing this. Beverley knight,s vocal talent simply shines in every song she performs a great show. Beverley absolutely "nailed it", delivering the hugely challenging set with the requisite beauty, vocal dexterity, guts, emotion, and appropriate respect to Whitney's original versions. It was all good. The acid test - 'I have nothing' and 'I will also love you' - were stunning - beautifully performed - applause deservedly rapturous. Beverley acted the part of Rachel very well, coming across as very likeable, genuine, credible. She clearly was enjoying performing to us and giving us 110%. The second lady also sang well, band, dancers and other cast also were great. Memorable. I will be going again. Strongly recommended. Best musical my sisters and nieces have seen for a long time we really enjoyed the performance everyone said the acting and singing was superb especially Beverley Knight whose voice was extremely exceptional. I lost a pair of leather gloves at the theatre on Saturday night I was sat on row N 22 to 27. Could I make an enquiry to see if anyone handed them in please. As soon as I heard Beverley Knight had taken over the role of Rachel Marron I knew I had to come and see this show. And my goodness she did not disappoint!! Everything about the show was amazing, the set, the cast, and of course the music. I can't think of enough words to describe how amazing Beverley Knight was. I laughed, I cried, I jumped out of my seat, and I cheered at the top of my voice. No doubt I will be going to see this show again! Exceeded all of my expectations. Went to see the show on the 5th nov 7.30 showing to find out Beverley knight was not performing which was our sole reason for going. There was no information saying she was'nt appearing even though the theatre said this was a booked holiday for her. The show was very disappointing without her in, I came away very unhappy indeed. Was so so disappointed that Beverley Knight was not appearing on the 5th Nov.I travelled from Warwickshire to take my daughter for a treat and felt that we should have been told at the time of booking paying £110 for the seats that she was on holiday as I was told by one of the theatre staff. An excellent show that did the film justice without being a carbon copy of it, and it was a tribute to the great Whitney Houston incorporating many of her wonderful songs performed fittingly by someone as talented as Beverley Knight- she really put soul into the songs and revived them! A fantastic and entertaining performance from the whole cast that I will remember for years to come as the best west end show I've seen. Good production but spoiled by the fact that Beverly Knight did not appear as that was the main reason for going. Booked this for my Daughter's 40th birthday treat as she is a big fan of Beverly Knight unfortunately she nor the male lead were playing on the matinee on 26/10/2013 & although Carole Stennett was good she is not Beverly,still it was a good show! AMAZING show and Beverley Knight truly is breath taking, however, the service from staff was down right awful! To the point where I would avoid the Adelphi in the future! This production was absolutely amazing! It was everything I could have wanted and more. I was afraid that being a Whitney Houston fan that it was not going to do her justice but it definitely did. I saw Gloria Onitiri perform and she was amazing. Being younger than Both Heather and Beverly I believe gives her Rachel more sass and and just an overall great youthful vibe. I cannot wait to go gain and see the legendary Beverly Knight. My only concerns with the show was two things; one is that the acting was not up to par. I think sometimes that when American shows are done in London the the accent slip ups factor a lot into making them in a way over act and making them seem forced. My other note about the show is that while I LOVED hearing these beautiful women sing and somehow would have enjoyed seeing what the males have to offer when it comes to the chart topping hits of Ms. Houston. I think it would have may the show a tad bit more interesting. Other than that the show was amazing! I would recommend that everyone should go see it. This was a great night out. I had Gloria Onitiri playing the lead and she was amazing!! I loved hearing her sing some of my favourite songs and she BLEW ME AWAY. The show was exactly what I needed after a hard day at work. What a fun show! I organised a trip for my little sister's hen night and we all were dancing and cheering to the songs we grew up with. I did fancy the stalker a bit, as well as the man playing the Bodyguard. Would go see again. Was Amazing. Loved every second of it. The cast were magnificent and could watch it again and again and again. Mesmerising and loved Frank. I have seen a lot of Musicals and this is up there with my top 3. This was a great example of a classy jukebox musical. I enjoyed hearing all of the Whitney songs performed by an excellent cast. I was lucky enough to have Heather Headley perform when I was there, which was a real treat. Just seen this show for the second time and we'll be back for a third (and more). Wonderful cast, brilliant set and the technical effects are out of this world. Where DOES that snow-covered cottage come from? I tried hard to spot some evidence of it in the second run through but it wasn't there. I felt sorry for the stalker too, he was quite cute!! I knew Lloyd Owen would be good (and he is) but I hadn't seen Heather Headley before, that lady is one Grade A star!!! Keep up the good work guys, best thing to have come out of the West End for years. PS Love the Adelphi too, such a comfortable and friendly place to watch a show. I came to see The Bodyguard on Saturday with my family and we all had such a good time. The show is amazing and we all left feeling on top of the world and singing all the way down the Strand. What I would like to know now is, do you anticipate a CD coming out from the show? I actually preferred the singing to the soundtrack from the film!! Fantastic. A very good musical. Heather Headly's voice gave me goose bumps!All the actors and dancers were very good. Absolutely loved it!! ..one of the best shows we've seen! !..fab singing and dancing and such wonderfully familiar songs!! Visually thrilling..would thoroughly recommend and intend to go and see it again! Fab u lous!!!!!! Frank was yummy! Heather's singing was fantastic. You must go,to good to miss out! Absolutely fantastic!!! Everyone needs to go and see it!! It is one of the best shows I have ever seen!! Even though you know the story it keeps you gripped from start to finish. Will definitely go and see again. On Saturday many tough moments for me over the last few years simply melted away when I sat in seat D23 in the stalls watching the amazing show the Bodyguard. I enjoyed everything about the show the cast were out of this world. From start to finish the hairs on the back of my neck bristled. What a wonderful feeling. She didn't get her man but all the cast singing I want to dance with somebody at the end of the show was sheer genius. Everyone of all ages rose to their feet and we all left the show with a feel good factor. Couldn't wait to see this show. Booked tickets a while ago when they first went on sale. Was definitely worth the wait!!!! My fav show was Mamma Mia which I have seen five times. This overtook it easily. Was absolutely fabulous. Was a bit disappointed when we arrived to learn that the lead role was not being played by Heather Headley at our show, but Gloria Onitiri was amazing. The set, costumes, and staging was unbelievable. Singing gave me goosebumps and the finale had everyone on their feet. 11/10 5**** what more can I say??!! Got to go again very soon. Do not miss the opportunity to see this spectacular show!!!! WOW, what an amazing show! All the cast were fantastic. I have never heard anyone sing a Whitney song so close to the original, I was in tears at the end, and had goose bumps most of the way through. And the start was brilliant. A definite must see. THE Brilliant, Original, Delightful, Yahhh, Great, Unique, Amazing, Riveting, Do go and see it. Fantastic, great from start to finish. The show does not make the songs fell karaoke, instead it brings them to life and makes you feel like your watching both a concert and a musical. The singing throughout is exceptional and makes you appreciate how great Whitney's songs are, as they are featured throughout. The set design is great and it tells the Bodyguard story in an original and up to date manner, still keeping the key characters and the actors playing them re create them just as they where in the film. I would revisit this musical again and again, a must for anyone who wants to get away from the cheesy musicals and see one that is both a gripping and impeccably musically produced show. Well worth the wait. The Bodyguard was fabulous. Loved every minute. Want to see it again. Heather Headley was superb and backing dancers were amazing. Quite liked the stalker though, that's not supposed to happen, is it! 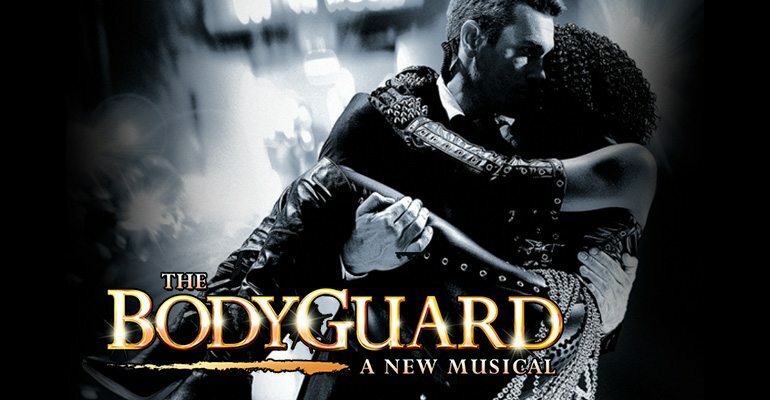 Well I watched The Bodyguard on the opening night, Tuesday 6th November 2012, and it was BRILLIANT!!!! Absolutely amazing. Definitely worth paying every penny for, and the performance from all the actors are really really good. Don't go expecting to hear Whitney Houston's voice, but look at it as an adaptation for theatre with the amazing voice and performance of Heather Headley and Lloyd Owen. The staff are very well spoken and polite, well done everyone! Actually, I wouldn't mind going again with my girlfriend, next year. Opening night, and that show was incredible! Really would recommend going to see this! I'd go again and again!